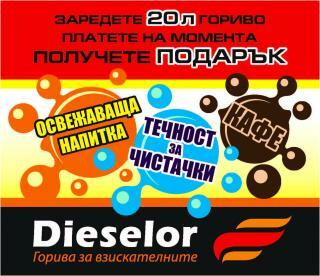 Petrol stations Dieselor are more than just a place for filling fuel! 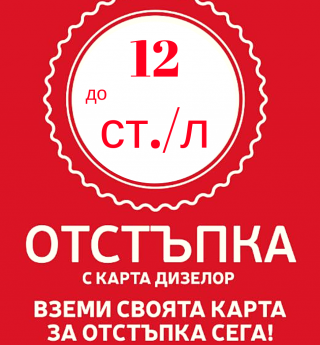 For us the comfort of the customers takes the first place! For this reason we strive not only to meet your expectatins but to exceed them! Timespan: From 13.04.2017 until stocks last. Timespan: From 04.04.2017 until stocks last. Timespan: From 01.04.2017 until stocks last. Timespan: From 01.03.2017 until stocks last. Timespan: From 23.12.2016 until stocks last. Timespan: From 09.02.2016 until 29.02.2016 or until stocks last.